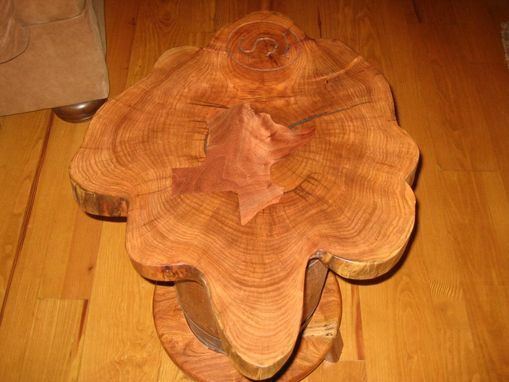 I made this table for my good friend in Sweetwater, Texas who operates a hunting lodge. 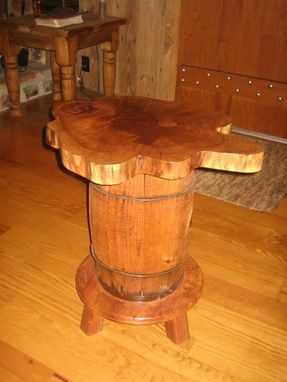 The top is mesquite cross section set upon an old nail keg with a round base with small legs of mesquite. 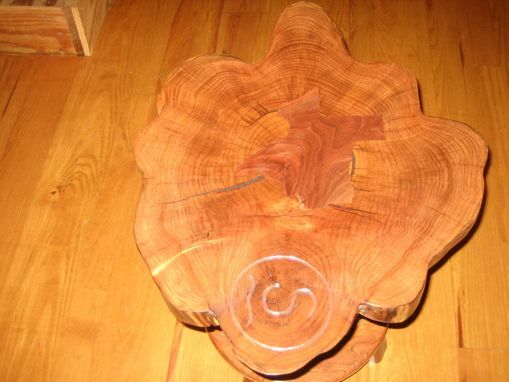 The top has the state of Texas inlaid with walnut. I never intended in the beginning to in lay the TEXAS but there was place on the slab that just would not finish out right because of it being very pourus so I covered it up with the walnut in lay. I think it turned out pretty good I like the subtle color difference in the mesquite and the walnut. Every piece is a journey and you sometimes have to make changes along the way.